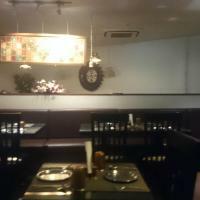 Give yourself a treat at Tareef ! However I must warn you that its a little strange to get in here since it’s located inside the eon it park, kharadi where the entry is usually allowed only for employees. If you can keep the patience while calling them in advance and then as you enter the IT park call them again so that a restaurant employee would walk over to the security gate to arrange for a gate pass and then finally you would be allowed to take your vehicle inside. I guess this place basically exists to cater the IT folks within but with a little effort you can take advantage of the tareef-ke-kabil food fare. We were also interested in trying their Biryani so we kind of requested them to trade off some items from Main course to replace it with Biryani which they agreed to as well, superb!!!! As I have seen many good places with such rigid rules that it kind of piss you off at times but not Tareef! 1. Multani Mutton Shorba – 5/5, this was one of the tastiest mutton soups I ever had, with little chunks of mutton pieces it was a pleasurable experience. 2. 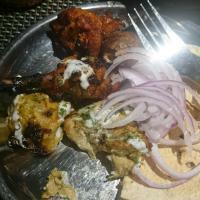 Chicken reshmi tikka – 4.5/5, this was mildly spiced, tender and super tasty. I am taking. 5 because I would have liked to be a bit spicy but still no real complaints. 3. 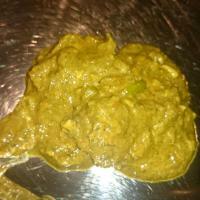 Chicken Tangdi – 4/5, the marinade was ajwain based and was fairly spicy and was quite alright. 4. Chicken Tikka – 5/5, this was served as an extra starter when I gave them a feedback about the reshmi tikka being very mild. This was amply spiced, tender, succulent and what not? Very nice. 5. Mutton Seekh – 3.5/5, tasty but it wasn’t tender enough to make it 5/5 but was fairly alright. 6. 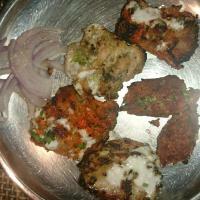 Paneer Tikka – 4/5. 7. 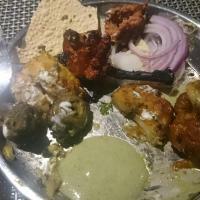 Tandoori Mushrooms – 5/5, this was right up there to give competition to its non Veg counterparts and was very tasty and just aptly spiced. 9. 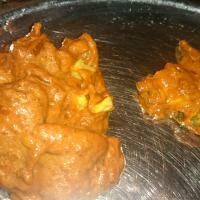 Chicken Lahori – 5/5, a nice rich gravy based boneless chicken dish with a distinct pepper flavor. 10. 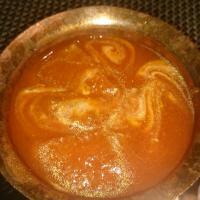 Dal makhni – 5/5, the best I ever had in Pune and almost like what you get in Northern parts of India. It tasted like it was slow cooked for a good amount of time if not the entire overnight and I loved it. Though I am not a big fan of Daal, speaks volumes about the preparation. 11. Mutton Dum Biryani 2/5, sorry to say but the most anticipated item of our customized menu turned out to be a dud. It was a typical Pune style Biryani but was almost bland. It was sad that my favourite dish didn’t quite live upto it’s expectations but the other items were so good that I was able to get over this quickly. 12. 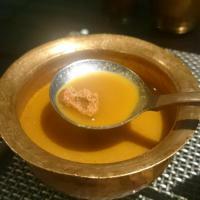 Shahi Tukda – 4.5/5, mouthwatering and apt starter to finish off a delicious meal. So next time I am there would definitely try the full buffet as I missed 1 NV and 2 Veg Main course in lieu of the Biryani but I wonder after having so much of tasty starters would I have gone for those items so I don’t think we missed anything really. 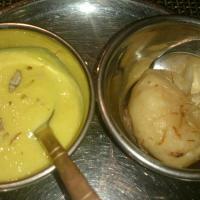 At Rs 549 per person, this was an absolute treat and I would love to come here over and over again. Visited last in December 2014.